Welcome to the Mission San Jose Elementary School PTC website. MSJE-PTC is offering the Konstella service to help parents communicate with the PTC, other families in their child's classroom, and the school. We intend to replace the use of Constant Contact with Konstella, as well as creating "chat" rooms for each classroom instead of parents individually creating whatsapp groups. 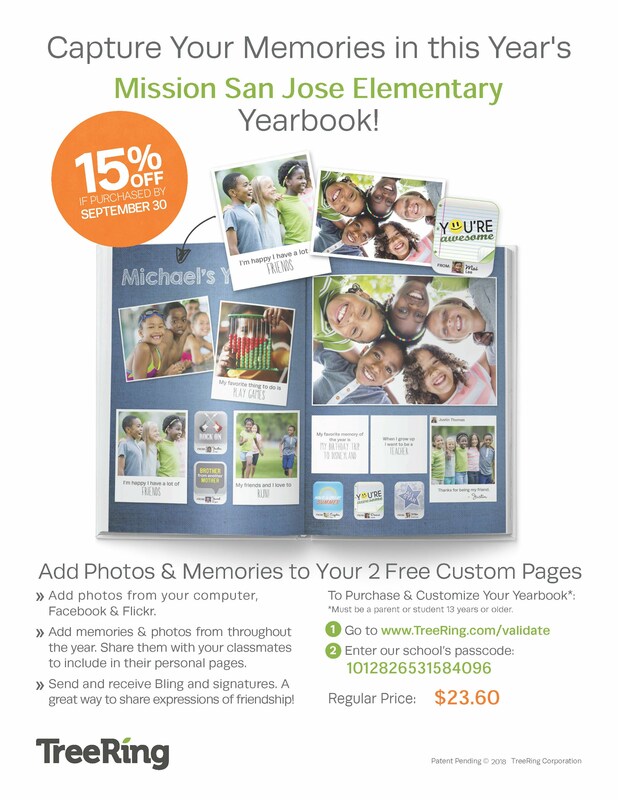 Early yearbook orders (before Sept 30) get a 15% discount.